The beautiful Langtang valley is explored by hundreds of trekkers each year. Langtang region is the nearest trekking point from Kathmandu where you can enjoy the Mountain ranges. Yet, it is still uninfluenced by modernization. A lot of Tibetan monasteries can be seen along the trekking trail. These cultural landmarks scream the beauty of their culture and lifestyle. The lifestyle in the Langtang valley is influenced by the Tibetan culture. The Langtang Valley Trek is one of the shortest and adventurous trekking routes in Nepal. The starting point of the Langtang valley trek is Syabrubesi. About 8 hours drive from Kathmandu and you will reach Syabrubesi. The trekking route passes through a number of small valleys, farmlands, and forests. The last destination of this trekking is Kyanjin Gompa which is at the altitude of 3,049 meters. Several packages can be arranged for this trek and normally we arrange a 10 package. Different types of vegetation can be observed in this region. The trekking trail takes you through refreshing rhododendron and pine forests. You will get a chance to be close to the wildlife while walking along a dense forest. The trekking route has a variety of rich flora and fauna. It is the home for wild exotic animals such as Wild Boars, Langur, Red panda, Himalayan black bear, Himalayan Thar etc. So you could see these animals in their natural habitat. Different types of pheasants such as Kalij, Danfe, Raven etc. can also be spotted on this trekking route. 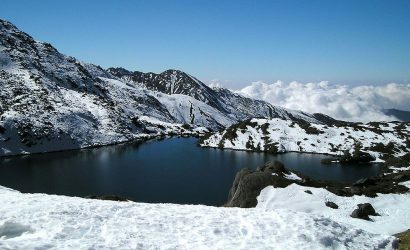 Since this trekking route is the part of Langtang National Park, it is rich in its biodiversity. As you drained post those long and strenuous walks, the picturesque waterfall will definitely rejuvenate your body and mind. Some snow-capped mountains that are visible in the Langtang Region are Naya Kangri, Gang Chhenpo, Dorje Lakpa and Langtang Lirung. You can also view some other mountains like Manaslu, Himchuli and Ganesh Himal from different parts of Langtang trekking route. Because the Langtang Valley Trek is nearest and the shortest trekking route from Kathmandu, this package is best for shorter holidays. It also is a great option for those who wish to have the Himalayan experience in the remote and heavenly areas of Nepal in short period of time. On the first day, you will arrive at the Tribhuvan International Airport. You will be received and transferred to your hotel so that you can rest comfortably and prepare for the trip. Take your time to shop around for gear or anything you need or enjoy the city. Be sure to get a good sleep. Bus ride to Syabrubesi on this day. You will reach to Syabrubesi after a bus ride. The scenic view from the bus is absolutely beautiful. This will give you the first taste of the countryside. Your backpack will be checked outside the entrance of the Langtang National Park for security reason. Most of the road is spiral. The road ascends to Dhunche and from Dhunche it descends down to Syabrubesi. After about 7-8 hours drive, you will reach today's destination, Syabrubesi. You will stay here for the night. This day is the actual first day of your trek. 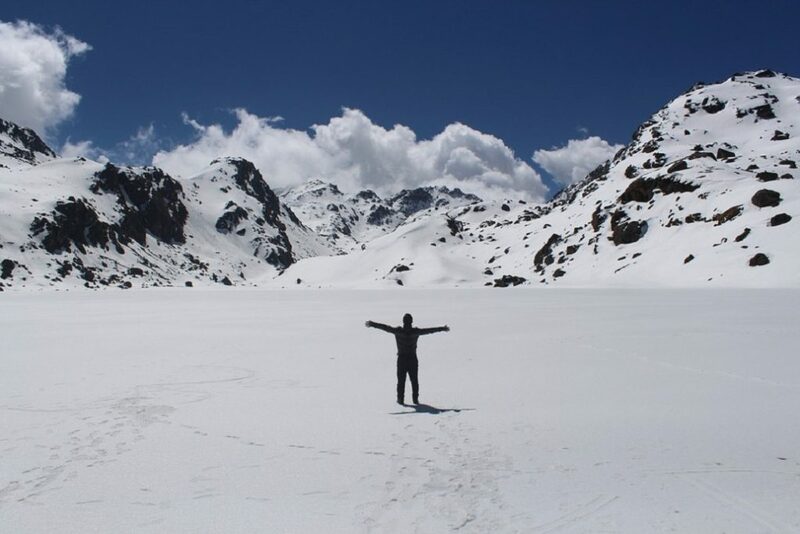 On this day you will trek the remote areas of the Langtang region. As this is your first day, nature, scenery, the people and the culture, the biodiversity and the sound of the forest will captivate you. Your journey will after crossing the suspension bridge over Bhotekoshi river in Syabrubesi. You will be hiking up the hill along the Langtang river. You will come across the dense rhododendron forest on the trail and you can see plenty of Langurs, as well as other wild animals and birds. On the way, after the forest, you will reach to a small village called Thulo Syabru. From there the route splits into two trails, one leading to Sing Gompa and to Gosainkunda while the other to Lama Hotel (Changtang). You will take the later, following the trail through the suspension bridge across the Langtang and finally to Lama Hotel. There are some lodges over there and you will be staying in one that we pre-booked. After leaving Lama Hotel after breakfast, you ascend towards Mundu on this day. On the way to Mundu, you get to view beautiful mountain landscapes and waterfalls. After a couple of hours, you will reach Ghoda Tabela, from here the glorious Langtang Mountain range can be clearly visible. The Trekking trail leads you to Langtang Valley. The vibe of the place is enhanced by the fluttering Buddhist flags and the prayer wheels on the way. It gives you a taste of the Northern Buddhist culture. Our destination Mundu is now just a step ahead of the Langtang village. You will be staying here in Mundu on the fourth day of your trek. After breakfast, you will continue ascending towards Kyangjin Gompa. It is a popular Buddhist Monastery, where people from the Langtang Village come to worship. On the way to this Gompa, you will not fail to miss a lot of Buddhist prayer flags, Chortens, prayer wheels and Mani Walls. These are common attributes of the Himalayas. It is a mountainous terrain. The view after reaching the Kyangjin Gompa is impeccable. The amazing view of snow-capped mountain vistas can be viewed from the place. After exploring the monastery and the nearby village, we will rest for the night at a tea house at Kyangjin Gonpa area. This is the day to acclimatize. When hiking, acclimatization is extremely important. It allows your body to adjust to the increasing altitude. If a day is spared for acclimatization, you will find it quite easier to hike and there is negligible chance that you might get altitude sickness. But this doesn't mean that you will sleep all day. You will have to be involved in activities like taking brisk walks to the nearby villages. So, today at an altitude of about 4000 m, we take a day off for acclimatization. The nearest peak "Tserko Ri" invites you to be explored and to witness the bewitching sunrise and awesome panorama of the Langtang range. You will be heading towards this peak in the morning. The spectacular view of the peaks like the Langtang Lirung, Langshisha Ri, Gyanghempo, Yansha Tenji and Nayakang Lay will take your breath away. After exploring for the day you will ascend to explore the parts of Kyangjin Gompa and witness a refreshing sunset from there. It's time to say goodbye to the Himalayas and the Kyangjin Gompa. After breakfast, you pack to trace back the same way to Lama Hotel, passing through Mundu, Langtang Village, Ghoda Tabela and finally to Lama Hotel which will take about 5 to 6 hours. Anything that you missed while ascending, you get to recollect and re-live. Since this is the same way back, and since you are descending now, you should enjoy every bit of it. Especially the views that you missed out. The familiar trail with chorten, prayer wheels, mani walls, water mills, the valley and the people's smile are things you will lament on, once back home. As you bid goodbye will make your way back to the Lama Hotel where you will stay for the night. This is your last day in the wilderness, take your time to enjoy the serenity and bustling sound of nature. On your last day of the trip, you will trace the same trail downhill, till you reach Syabrubesi. Like everyday, you will begin after breakfast. You get to enjoy the familiar forest of pine trees in the upper region and the rhododendron forest in the lower trails. Catching up with all your memories spent, you will descend towards Thulo Syabru. After a short rest there, you will follow the descending trails that will lead you to Syabrubesi. You will be staying in the same hotel where you stayed in your first day, you will notice big welcome smiles on the staff’s faces. This is a last day of the Langtang Valley Trek. In Syabrubesi you will have breakfast in the morning and collect some souvenirs if you wish. You can then enjoy your bus ride back to Kathmandu. After 7 to 8 hours you will reach Kathmandu. You will be taken to your hotel where you can enjoy the rest of the evening or head towards Thamel to witness the nightlife there. Finally, it is the last day of your trekking journey. It's the departure time. According to the arrangement of your flight, you will be taken to Tribhuvan International Airport in time. You will have to reach to the airport before 2 hours of your departure time and the traffic can be messy so it is advised to get there as early as possible. If you wish to, we can definitely arrange another trip or trek to other places in the country. Do let us know. We are sure you will be taking back home loads of memories of the days spent Nepal.